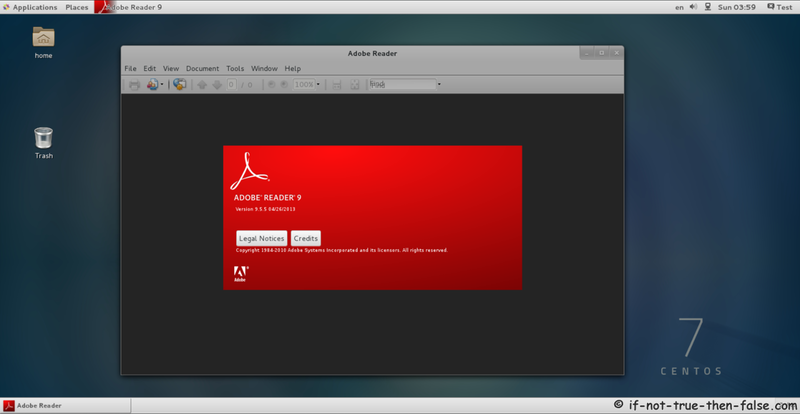 This is guide shows, howto install Adobe Reader (Acrobat PDF Reader) current version 9.5.5 RPM on Fedora 29/28/27, CentOS 7.5/6.10, Red Hat (RHEL) 7.5/6.10. This method works both 32-bit and 64-bit architectures. Note: Before it was possible install Adobe Reader using YUM, but currently there is not Adobe Reader in their 32-bit repo, so here is updated installation guide to get Adobe Reader working. Find Adode Reader on “Office Menu”. This is not currently working on CentOS 7.